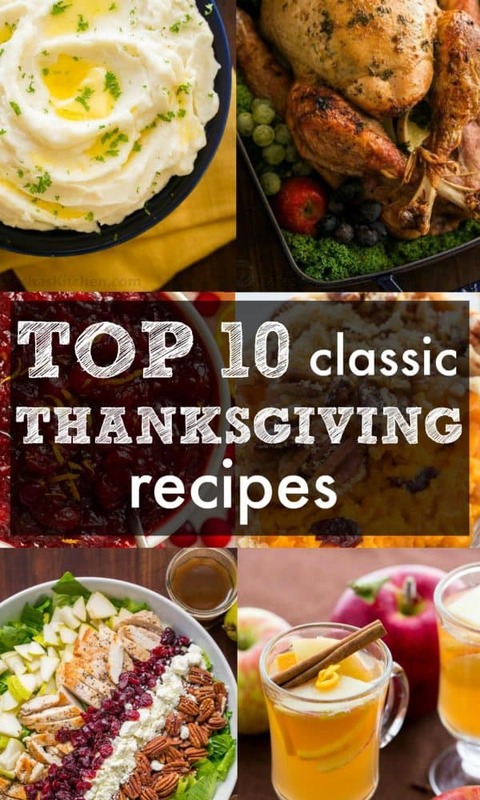 Making a brand new recipe for Thanksgiving (the biggest food day of the year) is risky and intimidating, so instead of sharing something new, I put together a list of our top 10 favorite, tried-and-true, Thanksgiving recipes. 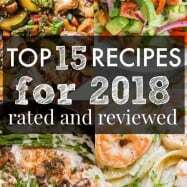 These are our top rated recipes – well loved by our family and the Natasha’s Kitchen Family (that’s YOU!). I hope you have a delicious week and take many moments to reflect on being thankful. I’m thankful for so much – how the Lord brought our family out of Ukraine as refugees in 1989 to enjoy the abundant life we live in America. 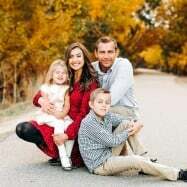 It’s humbling to me when I start to consider all that the Lord has blessed me with; the people we have influenced and the families we have blessed with this blog of ours. I’m so thankful for your love and support. 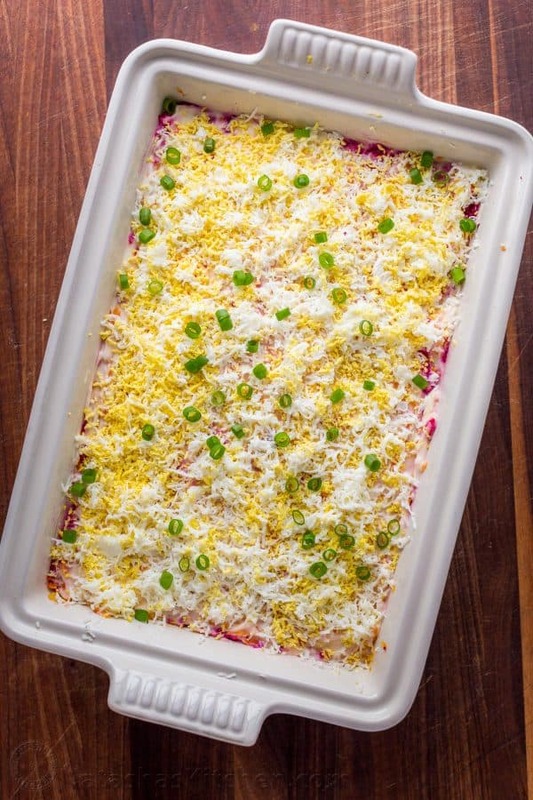 Our most popular recipe right now!! 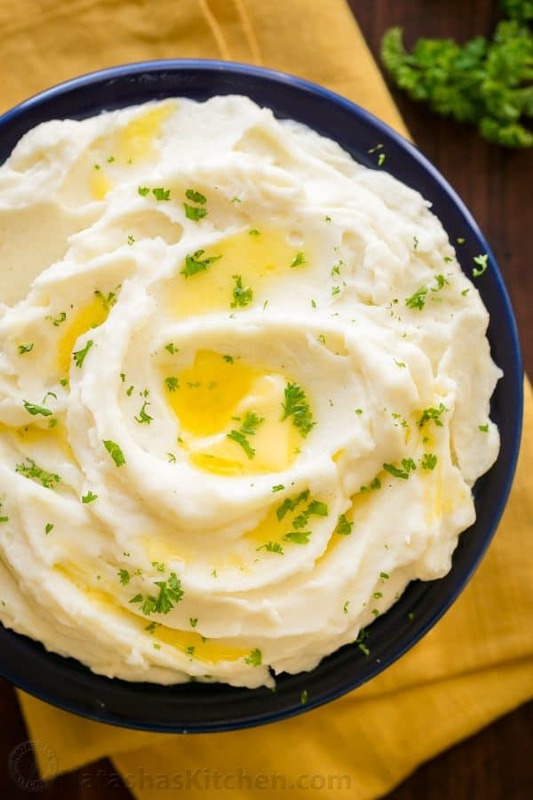 Everyone loves a good mashed potatoes recipe, but this one is just completely silky, rich and unforgettably good. It’s my friend, Anna’s recipe. She shared it with us last year and it has been our favorite ever since. Love potatoes? Here is every potato recipe we have. This was a tough one to pick but this is currently the favorite and also happens to be the salad I’m bringing to this years Thanksgiving dinner along with #5 (see below). It has the best flavors of Autumn and the dressing is oooohh so good (KEEPER ALERT)! 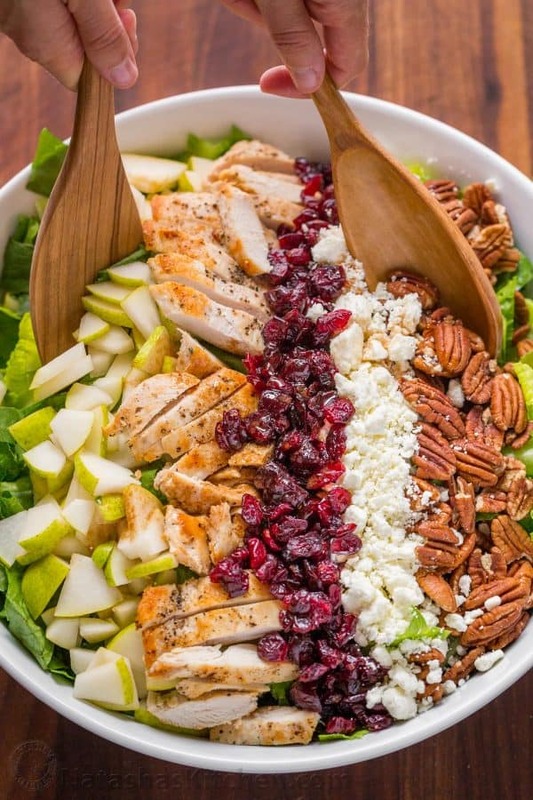 See more exciting salads here. These are always a crowd pleasing favorite. That cream cheese spread is excellent. 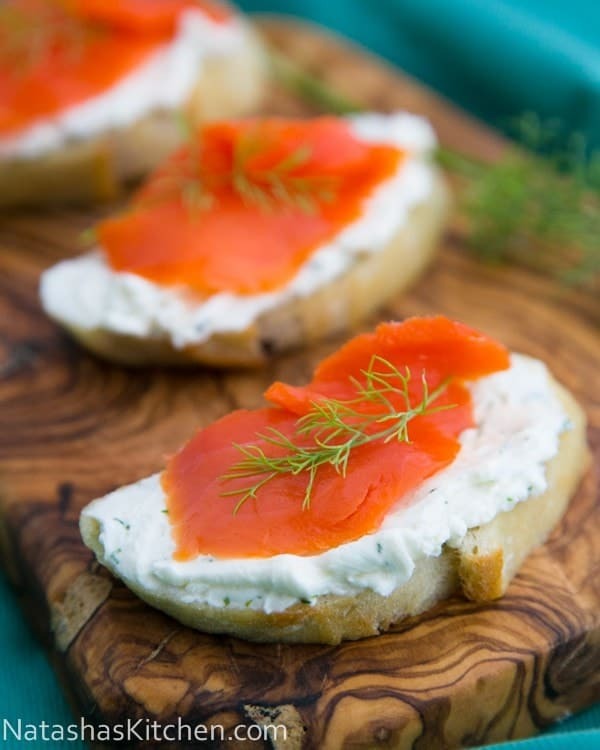 Salmon canapés are so simple to make and show up to 90% of our major holiday and birthday parties. We buy the smoked salmon in Costco. They come in packs of 2 so I freeze one for the next party ;). See more appetizer ideas here. 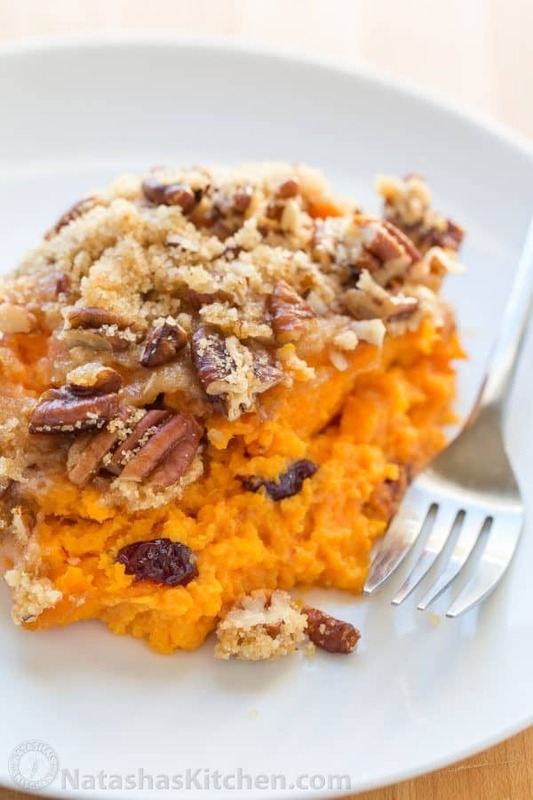 If you have sweet potato lovers at your party, this is a must-make recipe! It is creamy and puffs up slightly like a soufflé. That crunchy pecan crust makes it holiday-worthy. My sister, Tanya, made this for last year’s Thanksgiving dinner and it was a big win. More sweet potato recipes here! 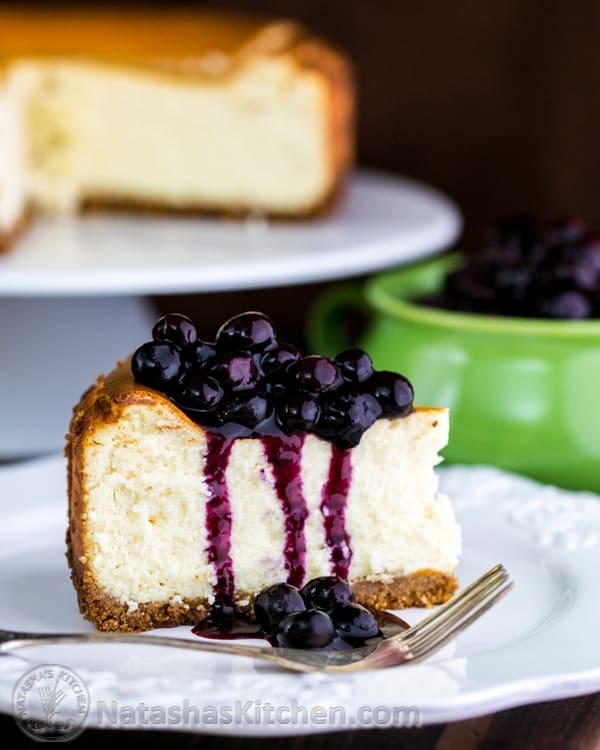 #5: Classic Cheesecake with Blueberry Topping!! This one’s a toss up. I always make our classic cheesecake for Thanksgiving including this year’s dinner, but our pumpkin cheesecake and mini cheesecakes are definitely the most popular this time of year. Either one is sure to be a hit! I don’t think Thanksgiving is the same without Shuba. 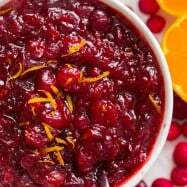 It’s a weird and wonderful flavor combination that I find completely irresistible and my sister, Sveta makes it every Thanksgiving. You’re guests will come hungry and thirsty too! 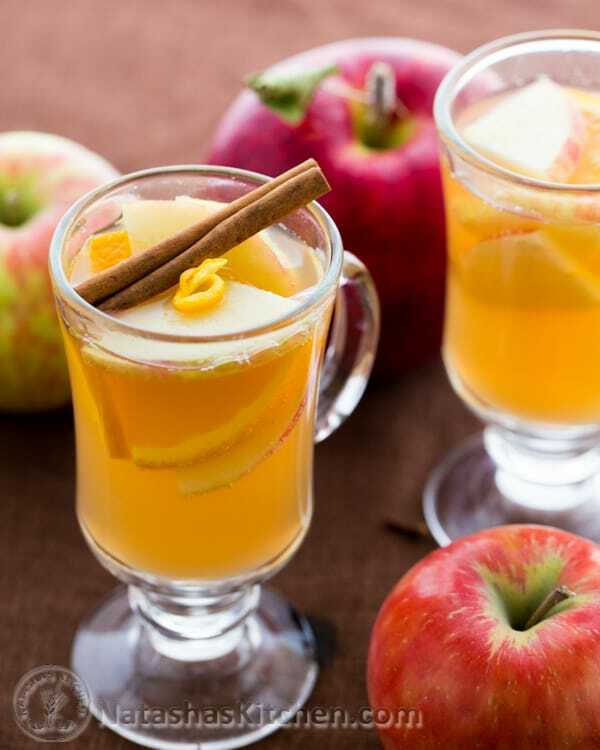 This is such a tasty holiday punch. It’s awesome for all the winter parties. Explore more party drinks HERE (like our most popular Cranberry Pineapple Punch!!). It’s so easy and flavorful. If you’re used to the canned version, you are in for a real treat! Bonus: This one is all-natural and sweetened with honey! Oh and it’s infused with orange and cinnamon – come to Mama!! I call this the “Mother” of all gravies. It is made with drippings from your turkey which creates the most flavorful gravy known to me. Folks will remember you for your gravy. 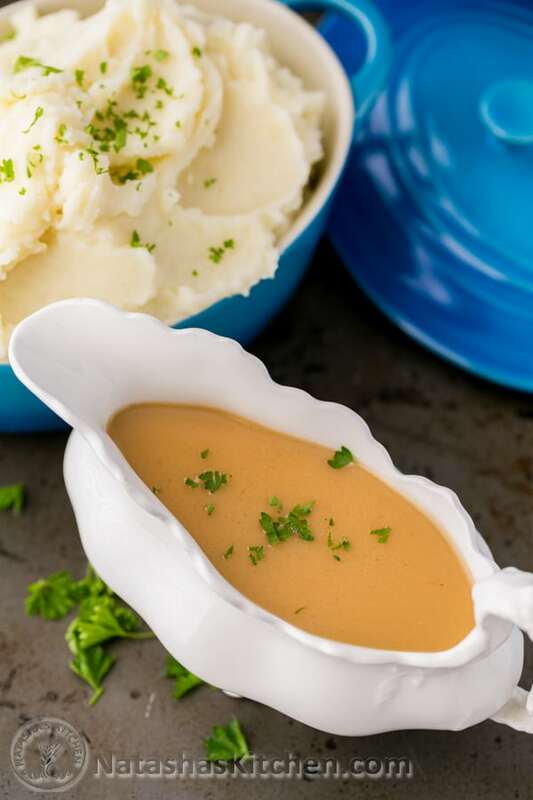 If you aren’t making the turkey this year, here are some easy gravy recipes for you. 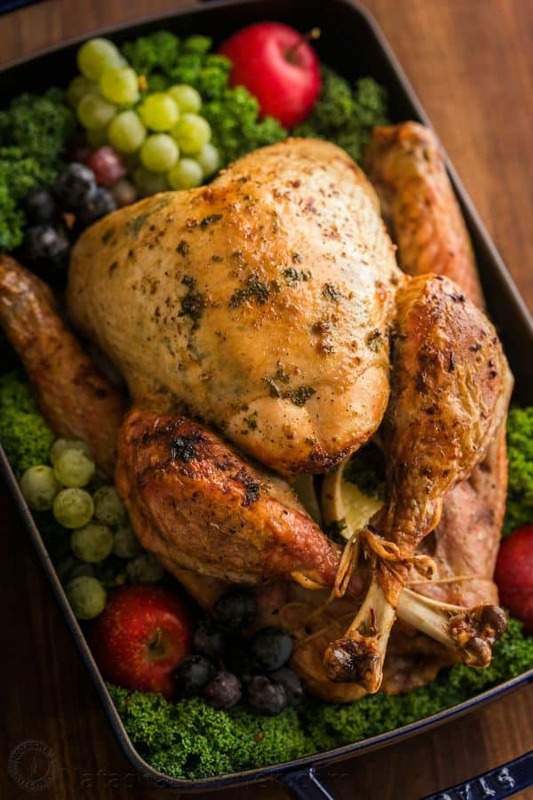 If you don’t have a your heart set on a turkey recipe (or maybe you’re a little freaked out about making turkey), watch our video tutorial and get our Juicy Roast Turkey recipe here. 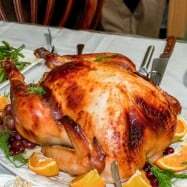 Hopefully you are already thawing your turkey (and if not, try a quick-thaw method). P.S. 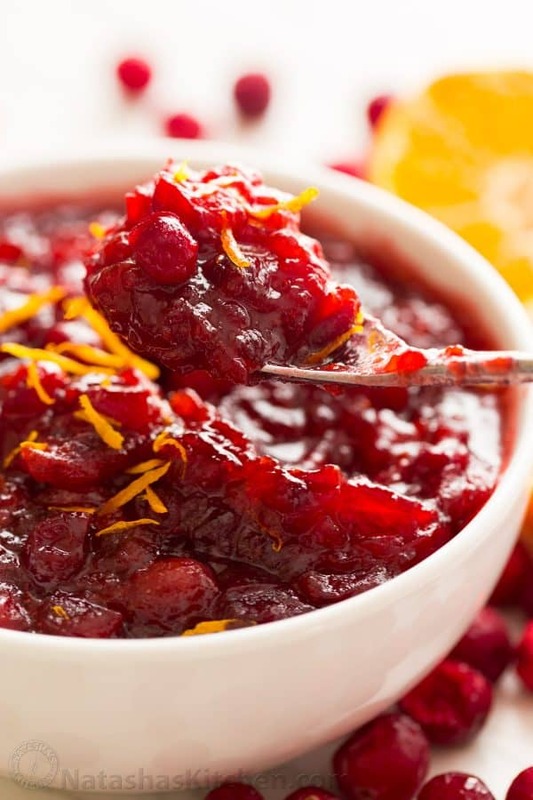 Keep that leftover turkey meat. This leftover turkey in a creamy mushroom sauce makes the time you spent plucking the bird so TOTALLY WORTH IT! It’s so easy and completely delicious. I’m betting you’ll make it over and over. 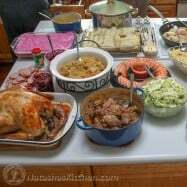 Q: What dish is the highlight of Thanksgiving dinner for you? I would love to hear from you in a comment below. 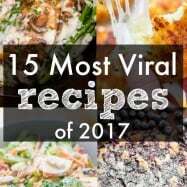 thank you for all your awesome recipes!! 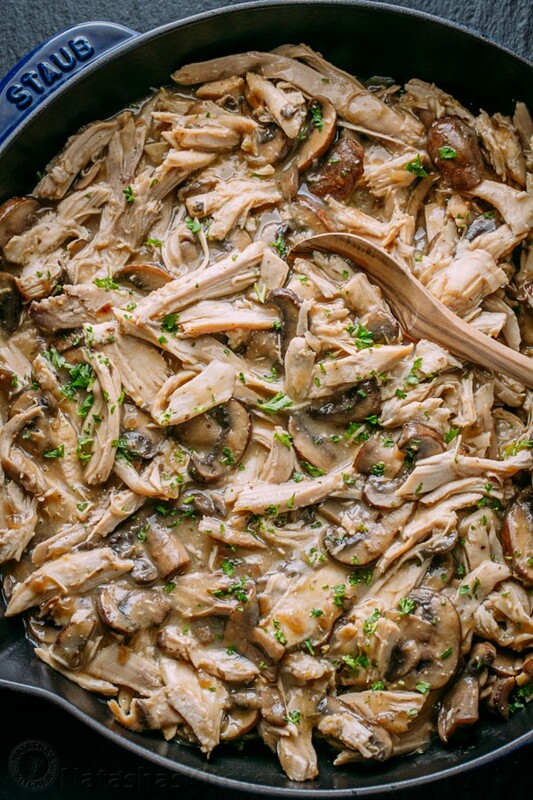 We love the leftover turkey pieces with the mushrooms. I have made that often when we have a turkey. I read in the comments that you wanted a good dressing recipe. We do not stuff our bird. It extends the cooking time, so over the years I have learned to simulate the dressing inside the bird by adding extra hot liquid. My mom made the absolute BEST dressing. She never measured but I can tell you approximately. Melt butter in very large pan. Add chopped onions, celery. Sauté until veggies are soft. Add 1 cup of stock. Season to taste with salt and pepper. Place cornbread, bread, and rice in a very large mixing bowl or roasting pan. Pour veggies/butter/stock from pan over bread and rice. Toss to coat. Add eggs and mix well. Stir in parsley. Mixture should be fairly wet. If it’s too dry, add more stock gradually. At this point, my mom always put a dab of the mixture into a pan and cooked it so she could taste the seasonings. Add more salt and pepper as needed. Cook stuffing separately in a roasting pan or place inside raw turkey. Note: my family does not like sage. But sage is commonly used in stuffing and could be added to butter step. OMGosh! I forgot that my mom did toast the white bread in the oven until it was completely dried out. So sorry! How could I have forgotten? She would do that in the evening on Wed and make extra. Then we would have Melba toast for breakfast on Thanksgiving. Sorry Mom!! That sounds good! I have never tried marjoram in my stuffing recipe. Happy Thanksgiving, everyone! Treasure the moments.